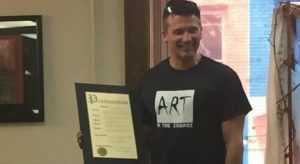 Barberton Mayor William Judge described the energetic White, who is also a studio artist, as a “creative inspiration to our community” when White was presented a city proclamation at the art show surrounded by hundreds of works of art, students, parents and community members. 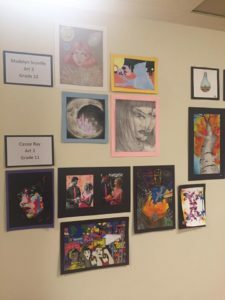 Summit Artspace on Tusc, formerly known as The Art Center on Tusc, was overflowing with creativity and color one night only for the fifth B-Art, The Annual Barberton Student Art Show during Barberton Fourth Friday. “The art of a community and nation tells our history and gives us ways to express what we value or want to change. Teachers like Ron hand down treasured knowledge and timeless craft to our young people and sometimes it can save a life. So today we say, ‘Thank you,’ and continue to share your love of art,” said Judge. Click on the photo of Ron to see the presentation. Now the chair of the art department, White started teaching art at Barberton High School in 1993. He has studied art at Wright State University, The University of Akron and Kent State University. He is known for his strong and vibrant depictions of the human form in murals and sculpture. He works in many mediums: clay, charcoal, metals, paper and ice. Some of his latest clay sculptures have included the 2016 Presidential candidates Clinton and Trump, LeBron James, Uncle Sam, U.S. Supreme Court Justice Ruth Bader Ginsburg and past Presidents Teddy Roosevelt and William McKinley. The Roosevelt, McKinley and Uncle Sam busts are in the permanent collection at the McKinley Museum in Canton. White opened a studio at Summit Artspace on East Market in 2012. He opened up another at Summit Artspace on Tusc in Barberton in 2015. He says that all of the work he does at the community locations gives him the opportunity to show students that a young person can choose art as a profession. 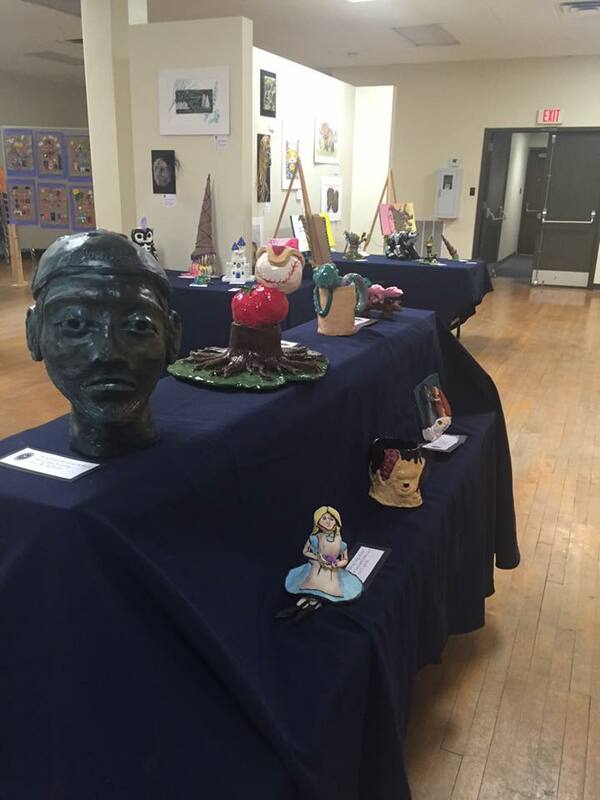 “Our Barberton students and their families, as well as the art teachers, look forward to this show every year. You can see the beautiful progress our young artists are making. 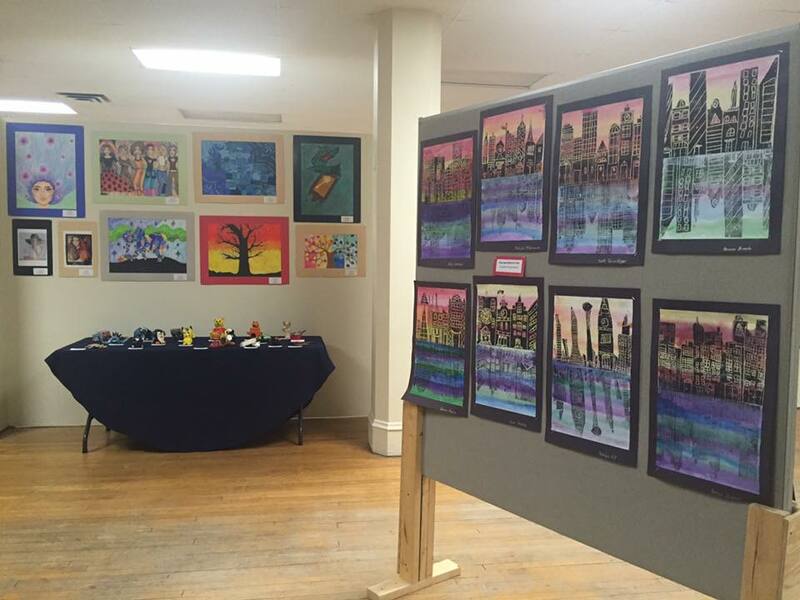 Their art education positively impacts every aspect of their lives,” said White. White won the very first Akron Art Prize in 2012 with one of his expressive sculptures. He currently has a piece in the SA Period show at Summit Artspace on East Market. The show, which features the work of the artists who have studios at Summit Artspace centers, runs until May 20. Visit the summitartspace.org for information about gallery hours and directions. 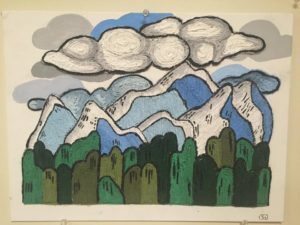 “As an artist and teacher, Ron shows students how to be true to themselves and take every opportunity to find the best in living and creating. He inspires us at Summit Artspace to strive for excellence. This recognition is well-deserved,” said Kamelia Fisher, Summit Artspace executive director. The ceremony at the art show also included the awarding of art prizes. Mayor Judge and Fisher judged the entries. The Barberton Community Foundation provided the cash prizes and has supported the show previously. 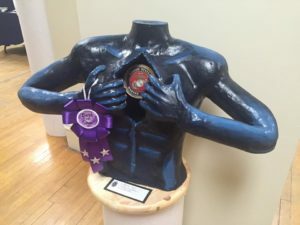 Winners of the high school art prizes were: best of show, Jacob Hall; first place, Megan Schantz; second place, Cameron Fitzsimmons and Nick Kurilko; and third place, Taylor Carpenter. For the middle school, the first place winner was Kathryn Swanson; second place, Hanson Risley; and third place, Olivia Morvai. You can check out the art and excitement around the show at #bartownart. 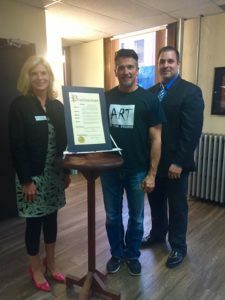 Summit Artspace on Tusc is operated by the Summit Artspace organization which also manages Summit Artspace on East Market in downtown Akron and the Nine Muses Art Gallery in Barberton. See the art and leave photos at #bartownart!